DepeositoryNetwork has its own unique feature for lending and assets management and this project catch me more attention and eager me to follow for their updates as i see a successful ICO for having a very positive feedbacks and ratings. great project, interesting . i wait the bounty from project! Great project. I'm interesting for Indonesian translation. The aim here is to enable the mass adoption of crypto money in the traditional crediting process with the establishment and dissemination of DEPO globally. On a global scale, there are more than 50,000 banks, lenders organizations, consumer financing brokerage firms, cryptographic lending and P2P credit platforms. DEPO's goal is to reach a 5% customer market in the global lender market within 7 years. 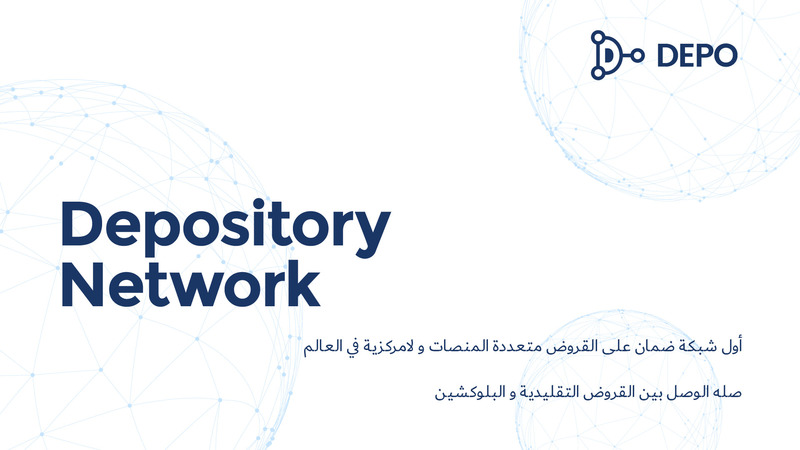 In the process, the Depository Network plans to establish a decentralized cryptographic asset assurance system by creating hundreds of collateral deposit platforms. Thus, a person who has a cryptographic parallax that is supported by the cryptographic paradigm, the Depository Network approach, will be able to borrow from various lenders, especially banks, by showing these assets as collateral. It will also be able to create its own savings on the lender's Depository Network anywhere in the world, and thus begin to accept crypt money as collateral. In this process, you first have to create your account, after you have created your account, you have to find someone who wants to do business with you. Separately from being a lender or borrower, you need to sign a contract to be created by the lender to decide how the process will work and how crypto money will be used as collateral. Joined signature campaign by the way. Yes. That´s my impression too. Looks like an interesting project at the first go. Can you please tell the hardcap and softcap of the project? Can you please describe your project in 2-3 lines?